What do you think about my new bag? The Selma has been sold out in black all over since early spring and is back ordered. The very kind girl that helped my in the Michael Kors store told me that when they got it back in stock they sold out within a week again. You can imagine I was so glad that I even got a hold of this one. 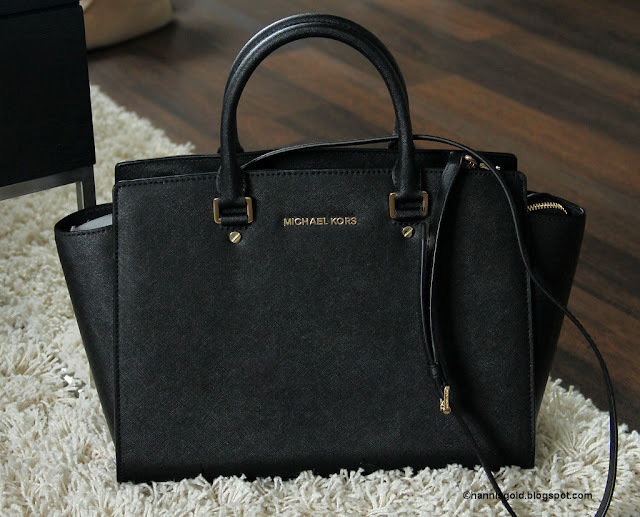 I love this bag. NEED IT! Thank you, it's really great. Check it out. @Serena: Thank you for your lovely comment!